I’ve noticed it is t1d blog week, but with a hell of a lot of other things going on in my life, and I know I’ve been slacking. I hope my readers understand, and that I post enough throughout any typical week that you’ll let me slide! I received this email today from JDRF. 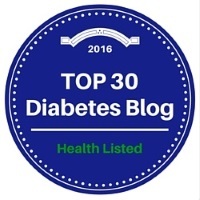 I think it’s important to share all the research that is going on for Type 1 Diabetes. If you haven’t noticed, I am an advocate for t1d research. Hopefully one day soon, I will have an artificial pancreas that will monitor my blood sugar levels and give me insulin without me needing to lift a finger. I really would like to get involved in some of this research, so if anyone is looking for candidates, email me! Check out the article below about some new advances from JDRF. Today we celebrate a significant achievement in the fight against T1D. Becton Dickinson Medical announced that the U.S. Food and Drug Administration approved its application to begin production of its novel FlowSmartTM insulin infusion set. This important accomplishment would not have been possible without help from our many supporters. We are extremely grateful to our donors, partners and the entire T1D community. The new infusion set is designed for use with insulin pumps sold in the U.S., and studies show that it has significantly fewer flow interruptions and blockages than regular sets. The smaller needle also causes less insertion site trauma. Infusion sets are a critical part of effective insulin-pump therapy, yet these sets have seen little innovation over the years. More than six years ago, JDRF Research and BD Diabetes Care leadership helped bridge that gap through a multi-year partnership with BD and a seven-figure investment by JDRF and the Helmsley Charitable Trust to develop FlowSmart technology. This new infusion technology could play an important role in developing highly reliable and effective artificial pancreas systems, which aim to require little monitoring and action on the part of the user. JDRF donors helped make possible this important step towards creating a world without T1D. Read about ways to support JDRF here.